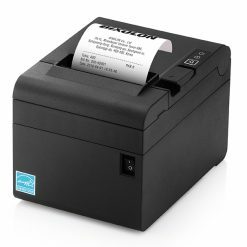 The multi-functional SRP-Q300 Series is a 3” (80mm) Direct Thermal ultra-compact receipt and ticket printer with flexible mPOS configuration capabilities. 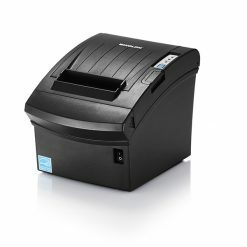 Sporting front-exit printing, the SRP-Q300 is designed to free up counter space and compliment the latest mPOS systems. 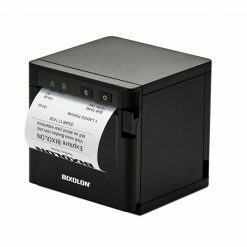 BIXOLON SRP-350plusIII POS receipt printer provides a powerful printing performance paired with a user friendly design. Printing at speeds up to 300mm/second, the SRP-350plusIII provides either 180 or 203dpi high quality print output and 16 shade grey scale for printing text, graphics and barcodes. With USB and LAN interfaces as standard. 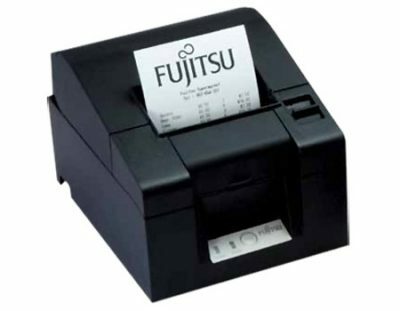 SRP-275III 3” serial dot-matrix receipt printer suited to a range of applications, from kitchen printing, to end-of-day reporting, customer receipting, service reports and can produce simultaneous multiple copies. 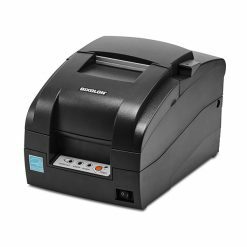 Featuring an ergonomic easy clean design and easy print paper loading, the SRP-275III has the option of either Tear-Bar or Auto-cutter. Boasting three interface options including USB V2.0 FS + Serial + Ethernet*, USB V2.0 FS + Parallel or USB V2.0 FS + Serial (*DHCP enabled). 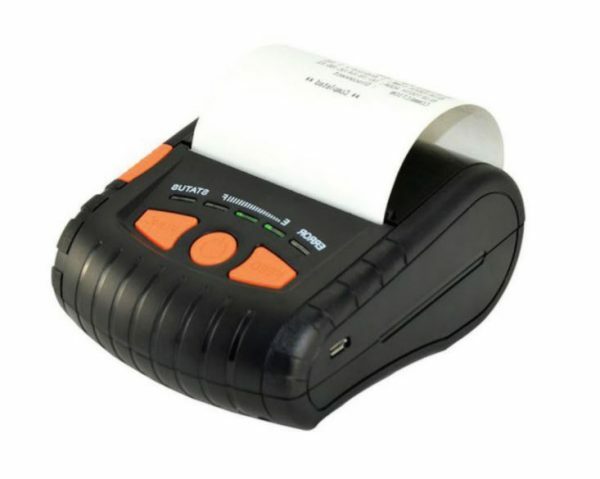 SRP-330II is a 3” budget level direct thermal POS printer providing exceptional value compared to other printers in its class. 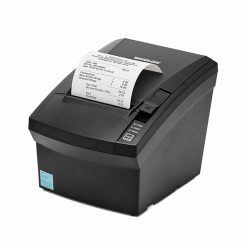 SRP-E300 is a cost-effective 3” (80mm) direct thermal receipt and ticket printer ideal for Retail, Hospitality and Banking. Producing print speeds up to 220mm/sec and offering a print resolution of 180dpi (SRP-E300) to produce high quality graphics, text and barcodes. This POS printer sports a highly reliable mechanism of 150km TPH and a 1.5 million cuts Auto Cutter. 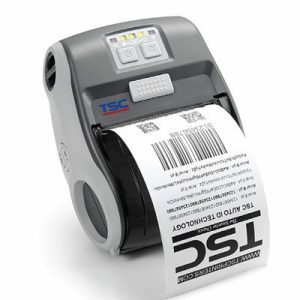 Ideal for medium duty-cycle applications where a 3″ (72mm) receipt, invoice or label* is needed. The new iMZ™ printers now support Bluetooth® connectivity to Apple® iOS, as well as Android™, Windows® Mobile and BlackBerry® platforms. Print Touch™ simplifies Bluetooth pairing and launches Webbased help pages with Near Field Communication (NFC) — enabled devices to provide a trouble-free user experience. 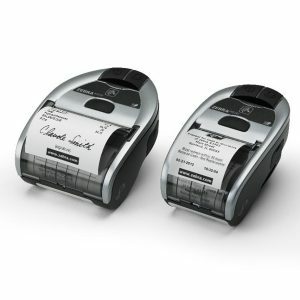 Regardless of your choice — a smartphone, tablet or handheld — Zebra‘s new iMZ220 and iMZ320 printers are there to support your 2-inch and 3-inch receipt-printing business needs. The FP-2000 series have useful functions and the new reliable technology for not only POS system but also mounting KIOSK and order entry tickets in Retail, Hospitality and all other industries. In other words, FP-2000 series will be your best business partner.